Do you love the homemade signature rolls and yummy cinnamon butter at Texas Roadhouse? Would you like to enjoy them at a holiday celebration? Well now you can. This year TX Roadhouse is offering this delicious treat for curbside pick-up and will be generously donating half of the proceeds to Rennell Elementary. All you need to do is make your order by November 4th and then pick them up the week of Thanksgiving. All orders must be received by NOVEMBER 4TH, 2013. 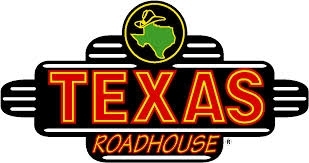 We will send you a confirmation flyer that you will then take to Texas Roadhouse at 13345 FM 1960 Rd W on Nov 25h - 27th from 10am - 5:30pm to pick up your order. Gift Cards are also available starting at $10 each.